Where can you see LIONS? Only in KENYA!!! After our amazing Kilimanjaro climb; our group headed to Kenya to spend a week on safari... and it was spectacular. September 4: We crossed the border into Kenya, created the Best Van Ever, and went on our first game drive in Amboseli National Park. September 5: We spent another day in Amboseli National Park, saw dozens of elephants, and Wil worked on his jumping skills in a Maasai village. September 6: This was mainly a travel day, as we drove via Nairobi to Lake Naivasha ... where we relaxed on the lake and saw baby giraffes. 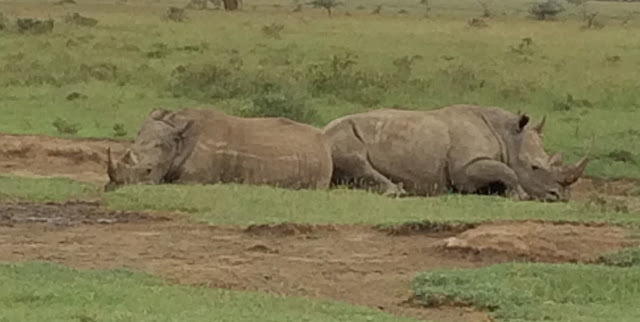 September 7: We made the short drive from Naivasha to Nakuru... and saw flamingos and RHINOS! September 8: We left Lake Naivasha and drove to the Maasai Mara and saw our first LIONS. 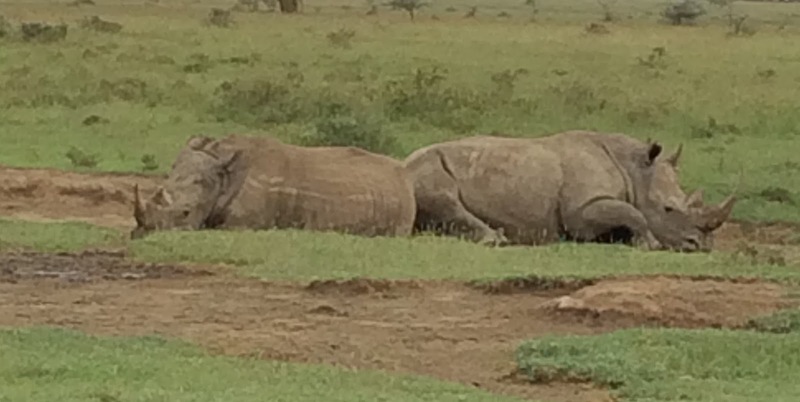 September 9: We spent all day on a game drive in the Maasai Mara. We rescued a stuck van, poured cold water on a frisky zebra and his lady friends (oops), saw a leopard, and, of course, MORE LIONS. September 10: We had an early drive and saw CHEETAHS ... then drove to Nairobi and said farewell to the gang. We put in a lot of hours with our driver, Njaguna, and the fellow members of the Best Van Ever ... so thankful for all of them! Thanks for singing all the parts of "The Lion Sleeps Tonight". Thanks for joining in the Best Van Ever chants. Thanks for dancing at gas stations. Thanks for insisting that we sang "I Will Survive" with feeling. Thanks for all of it. Gretchen, Julie, Liz, Njaguna, Wil, Sunny, Tony... and Liberty #6, the Best Van Ever!